Imagine having a team that is constantly working smarter and searching for more and more ways to make production processes more efficient. Kaizen gives you just that. Get a practical sense of what implementing Kaizen looks like for your facility. Kaizen takes a shift in thinking; this article will help you see how to start that shift.Implementing Kaizen will help your company increase productivity and efficiency. This foundational Lean manufacturing method stitches continuous improvement into the fabric of your company's culture, which means managers, team leaders, and workers alike will be constantly searching for ways to improve processes and tighten standards. Kaizen reviews and training teaches new employees how to apply Kaizen principles to their work, which means Kaizen stays sustainable for years to come. What is Kaizen and how does it work? Kaizen is a Japanese word comprised of two separate words, Kai and Zen. The translation of "Kai"from Japanese into English is "Change." In English "Zen" means "Good." Kaizen is simply translated to English as "change for the better" or "continuous improvement." "Learn What the True Meaning of Kaizen is"
the Japanese characters that make up Kaizen. Thank you to Gemba Academy for the use of their video. Continuous improvement is the process of constantly making things better than they were before. Kaizen can be defined as the philosophy and practice of continuous improvement. Kaizen is a workplace methodology. It refers to the practice of looking for ways to improve work processes on a regular basis. The practice involves small, incremental changes rather that large changes. With Kaizen, all people within the organization look for possible improvement opportunities, not just managers or executives. Walter A. Shewhart was an American statistician, physicist and Engineer. In the 1920s, while he worked at Bell Laboratories, Shewhart created the concepts of the statistical control of processes and Shewhart also developed the control chart tool. Statistical Process Control, or SPC, is the method developed by Shewhart in 1924. It exists to monitor or regulate a process to guarantee it functions to its highest capabilities. SPC is a method of quality control using statistics. If the process remains the same the outcome will remain the same; you can predict what will happen in the future based on what has happened in the past. Through his SPC concepts, Shewhart revealed that having a production process in a state of statistical control and keeping it in statistical control was imperative to be having the ability to predict the future output from a specific production process. In SPC, instead of correcting issues after they occur, there is an emphasis on early discovery and avoidance of issues. This method makes it less probable that a completed product will have to be modified. Make the process stable by removing assignable, unusual causes of variation. Detect significant changes of mean or variation by monitoring the continuous production process. Use control charts as a tool to monitor a process. To implement statistical process control, Shewhart combines the concept of a state of statistical control with the use of control charts. Developed in 1924, Shewhart's control chart was also known as Shewhart's Charts, process behavior charts, and as control charts. Control charts are tools used in statistical process control. These charts are used to conclude whether or not a business process or a manufacturing process is currently in a state of statistical control. When a control chart shows that a process is stable or under control (where the only variations are established by variations that are common to the process) no changes are needed for the process. The chart can now be used to forecast the future output of this process. When a control chart shows that a process is unstable or not in control the chart must be analyzed to see where the uncommon variation is coming from. It is important to figure out where the issue is coming from so that the output of the process is not hindered. A video on the life and accomplishments of Walter Shewhart. Thank you to soysilly's channel for the use of their video. Statistical points that represent measurements of a process' quality characteristics. These statistical measurements of quality are retrieved from the output of a process at different times so they can be used for comparison. The mean of all of these statistical measurements of quality. The mean of the statistical measurements of quality is notated by a centerline drawn at this number on the control chart. The standard error or deviation is calculated based on all of the statistical measurements of quality that were collected. The chart is marked with lower control limits and upper control limits to specify the number where the process production is unlikely (statistically speaking). W. Edwards Deming was an American who lived from October 14, 1900 to December 20, 1993. Deming was a management consultant, statistician, engineer, author, lecturer, and professor. In the 1927, Deming met Walter A. Shewhart. Deming was impressed with Shewhart's concepts of statistical process control. Deming studied Shewhart's work on statistical control, control charts, and Shewhart's straight-line process. Shewhart's concept of common causes of variation (known, historic, having to do with the process, and quantifiable) and special causes of variation (statistical variations that are unknown/haven't happened before, abnormal, and unquantifiable) directly led to Deming's theory of management. Deming recognized that Shewhart's concepts and processes could be applied to both manufacturing processes and the processes that manage companies. Deming edited a four part series of lectures that Shewhart gave in 1937. These lectures were published in a 1939 book called, Statistical Method from the Viewpoint of Quality Control. In the 1930s in the US, Deming worked with the US Census Bureau to help develop the sampling techniques they used in 1940 and still today. In 1943, Deming educated engineers and additional people (in support of war efforts) his first course on fundamental applied statistics. Then Deming began a two year teaching program, teaching the statistics training program at Stanford. Deming.org says that here he educated close to 2000 people on the PDSA Cycle and the Shewhart Cycle for Learning and Improvement. In 1946, Deming was working as a private consultant. After World War II, the Economic and Scientific Section of the War Department sent Deming to Japan so he could study agricultural production problems and other connected issues occurring in the nation, damaged by the war. In 1947, Deming went to Japan to help the statisticians of Japan evaluate nutrition issues and housing troubles and to help in the early planning of Japan's 1951 census. While there, the Japanese Statistical Society (JSS) deemed him an honorary member. In 1950, the Japanese Union of Scientists and Engineers (JUSE) had studied Shewhart's cycle and wanted an expert to teach them more on the subject. JUSE members thus sought out Deming to teach them about statistical control. Deming went on, in 1950, to teach people about concepts of quality and statistical process control (SPC). In Japan, Deming taught hundreds of top management industrialists, scholars, engineers, and managers. Deming's main teaching to executives was that increased quality decreases expenditures and increases productivity and market share. Multiple manufacturers in Japan followed Deming's techniques to achieve new levels of productivity and quality. A new international demand for products coming from Japan arose due to their decreased cost and increased quality. In the 1950s, from the processes based on what Deming taught, Japan was on the path to becoming the second largest economy in the world. Deming can be credited for bringing the idea of continuous improvement to Japan. In 1960, The Emperor of Japan gave an award to Deming for pioneering, introducing, and implementing Kaizen in Japan. The award was called the "2nd Order medal of the Sacred Treasure." End results can't be improved without improving the processes that create them. Lean organizations focus on improving all parts of a process from start to finish in order to increase the quality of the results. Through the use of specific cycles, organizations can improve the processes and end products. of Quality Control, Shewhart introduced a three step, straight line concept of scientific processes. In his specification, production, inspection process Shewhart applied the scientific method. Later, Shewhart changed the steps to be a recurring, circular concept. Deming studied Shewhart's straight-line process and modified the concept, adding his own ideas. In 1950, Deming presented his version as what he referred to as the Deming Wheel, The Deming Cycle, and the Deming Circle. The Deming Wheel is a 4-step, cyclical process. There should be a constant cycle through design, production, sales, and research to produce quality service and products. The product should be made and tested in the lab and tested in the production line. The product should be sold. The product must be tested through market research and through using it. One must figure out what users think about the product and why other people have not yet purchased the product. In 1951, the Deming Circle was reworked by the Japanese. It was developed into the PDCA (Plan, Do, Check, Act) Cycle. Masaaki Imai wrote that the Deming Circle was developed into the PDCA cycle by Japanese executives but did not specify who. Check: Analyze the results to verify whether or not the plan has had the intended effect. Act: If the results of the cycle were not satisfactory go back to plan. If the results were satisfactory, standardize the solution. In 1985 the PDCA Cycle was revised, utilizing additions from Kaoru Ishikawa. Plan: Now divided into two steps - define goals and targets as wells as decide on ways to reach the end goal. Do: Now divided into two steps -  participate in education and training as well as implement the plan. The PDCA cycle functions a bit like the scientific method with people testing out hypotheses to see what works and then developing new procedures based on outcomes. A key thing to remember is that these cycles are ongoing. Standards are important to have, but they aren't set in stone. Workplaces are dynamic and business conditions change, so standards must change, too. In 1986, Deming revealed a modified Shewhart cycle. He confirmed that it was a revised version of the original 1950s version. "What could be the team's most important accomplishments? What changes might be desirable? What data are available? Are new observations needed? If yes, plan a change or test. Decide how to use the observations. Carry out the change or test decided upon, preferably on a small scale. Observe the effects of the change or test. Study the results. What did we learn? What can we predict? Repeat step one, with knowledge accumulated. Repeat step two, and onward. In 1993, Deming changed the Shewhart's Cycle to the Shewhart Cycle for Learning and Improvement, also known as the PDSA (Plan Do Study Act) Cycle. He did this because he believed that "check" was seen to mean "hold back" to inspect instead of analyze. Plan: "Plan a change or test aimed at improvement"
Do: "Carry out the change or test (preferably on a small scale)"
Study: "Examine the results. What did we learn? What went wrong?" Act: "Adopt the change, abandon it or run through the cycle again." Thank you to Deming Institute for the use of their video. Deming's PDSA cycle was added to in 1991 by men named Moen, Nolan, and Provost. To the "Plan" step of the PDSA cycle, the men added the requirement of using prediction and associated theory. They also asserted that the "Study" step of PDSA relates the witnessed data to the prediction as a foundation for learning. The men pointed out that it wasn't enough to conclude that a change brought about improvement, you will also need to be able to predict if a change will result in improvement under different future circumstances. "What are we trying to accomplish?" "How will we know that a change is an improvement?" "What change can we make that will result in improvement?" In August of 1980, Deming was involved in a Roundtable Discussion on Product Quality--Japan vs. the United States.During the roundtable discussion, Deming said the following about his Deming Circle/PDSA and the Japanese PDCA Cycle, "They bear no relation to each other. The Deming circle is a quality control program. It is a plan for management. Four steps: Design it, make it, sell it, then test it in service. Repeat the four steps, over and over, redesign it, make it, etc. Maybe you could say that the Deming circle is for management, and the QC circle is for a group of people that work on faults encountered at the local level." Thank you to Audiopedia for the use of their video. The SDCA Cycle is a modified version of the PDCA (Plan, Do, Check, Act) Cycle. Standardize: When a problem occurs, identify what the current standards are. Check: Make sure the standards are effective. Act: Continue using the standards to stabilize the process. From 1940 through 1945, Training Within Industry was a program that was run within a United States government agency, the War Manpower Commission. This program was in place as an emergency service in the US during World War II. The United States Government War Production Board created TWI. From the industry, experts were drafted to develop techniques to rapidly speed up war materials production. The program was needed to quickly train new unskilled workers in the war production workforce. These new workers were needed to replace the skilled workforce (that were producing war materials) that was now heading off to war. The TWI programs consisted of basic training sessions. They were split up into 4 programs that were each 10 hours long. The TWI program was developed from Charles R. Allen's 4 step method of training new workers: Show, Tell, Do, Check. Charles R. Allen was a Massachusetts vocational teacher. In 1917, during World War I, Charles was appointed to head a program to increase trained workers for the ship building industry 10 fold. In 1919, he published his work in his book titled, "The Instructor, The Man and The Job." Job Instruction (JI): This was a course to teach experienced workers, managers, and supervisors to quickly train untrained employees. Trainers were shown to take jobs and separate them into small-defined steps, to demonstrate the steps while explaining the key steps and the reason for them, and then to closely watch the student demonstrate the procedure, coach them, and slowly end coaching as the student can do it without the trainer. Job Methods (JM): This was course to teach workers to meticulously evaluate (objectively) the efficiency of the job and to suggest logical improvements. If the worker came up with a inefficient task, they were charged with the task of coming up with a solution by getting rid of something, combining steps, rearranging, or simplifying steps. The worker must then present the idea to coworkers and their supervisor and try to gain approval. Job Relations (JR): This was a course to teach managers/supervisors to handle employees both effectively and in a fair manner. Program Development (PD): This was a session to teach trainers to help in the organization of solving issues with production through training. After WWII, the Economic and Scientific Section (ESS) group was assigned to helping improve management skills in Japan. Part of their work was to properly teach the Training Within Industry programs, in Japan. To aid in their work, ESS introduced a TWI training film. This TWI training film taught Job Instruction (JI), Job Methods (JM), and Job Relations (JR). The TWI training film was called "Improvement in 4 Steps." In Japanese, this translates to Kaizen eno Yon Dankai. Some see this as the formal introduction of Kaizen into Japan. The TWI training was widely accepted in Japan as it and Deming's teachings developed into the foundation of the Kaizen culture in Japanese industry. A video describing Toyota Material Handling Europe's Toyota Way and Kaizen. The Toyota Motor Corporation was one of the Japanese companies who harnessed the knowledge of Kaizen, the teachings of Deming and the TWI program. In 1950, Toyota established using quality circles. Deming first described quality circles earlier that year. They are also known as quality control circles. A quality circle can be defined as groups of employees with the same job or a similar job who get together consistently to define, analyze, and offer solutions to issues related to their work. A manager normally heads the meeting. This manager will then bring the solutions of the group to higher management. The use of quality circles and the TWI training programs helped lead to the development of the Toyota Production System (TPS). "Toyota Helps Community Organizations Maximize Their Impact"
(to provide its Toyota Production System Expertise) in order to help people. The first project was in New Orleans on the St. Bernard Project after major flooding. Thank you to TOYOTAvideonews for the use of their video. Thank you to ToyotaMHEurope for the use of their video. The Toyota Production System is based on the philosophy of the total eradication of all waste, or "muda." The system utilizes Kaizen, Just-In-Time, and Jidoka. Today, Toyota still uses TPS and dedicates time and energy to sharing the system with other industries. In the Toyota Production System Support Center there is more information on the ways Toyota supports the community. Thank you to Gemba Academy for the use of their image. The idea of continuous improvement and Kaizen were first brought to Japan after World War II. These ideas then returned to the West in the late 20th century through the publications and work of Masaaki Imai, Norman Bodek, and others who worked with or studied Lean and the Toyota Production System. Imai was born in 1930 in Tokyo, Japan. He is a management consultant and author. He is known for working on Kaizen and quality management. Masaaki Imai's 1986 book Kaizen: The Key to Japan's Competitive Success was the first to introduce the idea of kaizen to the business communities of Europe and North America. The text was translated from Japanese into more than a dozen languages, and kaizen made its way around the globe. In 1985, Imai founded the Kaizen Institute to promote Kaizen worldwide. Today, Imai is still chairman at the Kaizen Institute. Kaizen is uninterrupted improvement that involves all employees of a company. "Interview with Mr. Masaaki Imai, the author of Gemba Kaizen"
Continuous Improvement Strategy, Second Edition." Thank you to McGrawHillPro for the use of their video. Take steps to stop and fix the underlying causes of issues. "What is Kaizen? Introduction to Lean Concepts - 5"
A video describing what Kaizen is. Thank you to tcmc Quality Management Services for the use of their video. To gain total quality control all employees must participate business wide. There must be a push towards education and training for all employees. Quality control circles must be established and consistently occurring. The Deming Prize and President's Audit, as well as other total quality control audits, must take place regularly. There must be a utilization of statistical methods. There must be total quality promotion (nationwide). Masaaki Imai believed that the East and West used the concept of Continuous Improvement differently. Imai believed that the Japanese (in the east) used a gradualist method. This is what Imai called Kaizen. Imai believed the Western businesses used the great-leap-forward methodology. Imai referred to this as Innovation. The Eastern model of small, incremental change looks at the big picture. These changes may seem insignificant when they're implemented, but over time they can add up to significant improvements. In this model, the focus is on the long-term. Imai believed that the eastern model of improvement took small steps for long-term, continuous incremental gradual change. The east used everyone in the company and everyone collectively worked to maintain and improve. Imai saw this approach as having little investment but needed a lot of effort to maintain. He saw it as better for slow economical growth. The Western model of improvement prefers to see results fast. Consequently, large changes whose results can be seen quickly tend to be implemented. The upside of this method is positive gains are observed right away, which tends to please company leaders and can motivate employees. The downside is backsliding; organizations that always implement sudden, big changes often see those improvements fade over time. Imai believed that the western model of improvement took big steps for short-term, intermittent abrupt change. The west used a select few people in the company and those individuals worked to scrap and rebuild. Imai saw this approach as having a large investment but small effort to maintain. He saw it as better for fast economical growth. Kaizen tends to fall into the Eastern model for improvement. In kaizen, smaller changes are made on a regular basis and over time they may provide a business with many benefits. People can perform tasks more easily, feel empowered that they can make changes themselves, and find real ways to help the business. One of the reasons small changes can be beneficial is they tend to be low cost and fairly easy to implement. If for some reason a change doesn't work out, not much harm has been done because few resources went into the change in the first place. Thank you to Flevy.com - Business Frameworks for the use of their image. The goals of Lean manufacturing are to reduce waste, improve quality, and ultimately please the customer. The continuous improvement of kaizen helps Lean organizations achieve these goals. Lean manufacturing highlights the importance of eliminating waste, which is defined as unnecessary work that does not add value for the customer. of the Kaizen Institute at his first stop, Brevini in Italy. Brevini is a company who is utilizing Kaizen. Thank you to Brevini Power Transmission for the use of their video. In Lean organizations, everyone is trained to look out for these types of waste. Some of them may be more obvious than others, but with time it becomes easier to see these wastes in the workplace. Waste should be eliminated because it doesn't add value for the end customer, meaning that the customer isn't willing to pay for it. Businesses should focus on making changes to processes and products that will make customers happy. Customers are pleased when they receive what they want, when they want it, and in desired quantities. Quality means the product or service measures up. It meets the expectations of the customer in terms of appearance, materials used, longevity, durability, ease of use, etc. Cost is the price point. Even if a customer likes a product, he won't buy it if it costs too much. This means businesses must produce the product in such a way that they can charge a price the customer is willing to pay. Delivery means the customer gets the product or service when he or she wants it and in the desired amount. Because the end goal of a Lean business is to please customers, businesses must focus on continuously improving quality, cost, and delivery. Kaizen makes this improvement possible. By focusing on ways to continuously improve the workplace, employees and employers can improve these key factors that matter to customers. 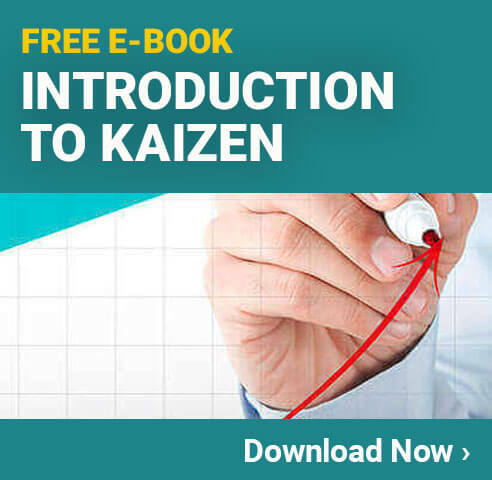 In addition to helping achieve Lean manufacturing goals, kaizen is connected to many other Lean concepts. Kaizen is often considered an umbrella term under which other Lean tools and concepts fall. This is because many activities in a Lean workplace - whether the workplace is a manufacturing or non-manufacturing environment - help facilitate improvements. As shown in the above diagram, Just-in-time, jidoka, 3P, 5S, gemba, and other Lean tools can aid with the continuous improvement that is kaizen. When you think of kaizen as an umbrella term, many Lean tools are part of the kaizen methodology. But when you think about kaizen this way, it's also easier to see how kaizen is a philosophy or mindset. Kaizen is an overarching theme in Lean workplaces, and all Lean practices relate to continuing to improve. Respect for people is an important tenet of Lean manufacturing and it plays an important role in kaizen. In kaizen, all workers must feel respected so that they are comfortable making suggestions for process improvements. This means management must believe workers are capable of making changes. People know their own jobs better than anyone else does, so they often have insights about possible improvements that people not doing the job on a daily basis won't have. It's important to note that when people are asked to look for possible improvements as part of kaizen, they shouldn't just be asked to look for cost savings. Some improvements may not result in direct cost savings, but they could make a process run smoother or make the work environment better for the people in it. People should look for improvements that will make their work function better, and in turn, these improvements may help the company and its customers. People should also be encouraged to test out ideas themselves and make changes as needed. Employees might choose to consult a co-worker or supervisor first, or if the idea is small enough, an employee might go ahead and implement the idea to see how it goes (depending on the policies of the workplace - some facilities prefer that employees always consult a supervisor before trying out an idea). In general, workplaces that use kaizen trust people to try things out and don't always rely on management to make every decision. Management plays a critical role in kaizen's success. Managers themselves should make kaizen a part of their own work by looking for ways to improve their processes. "Video Masaaki Imai Lean Management"
A video of Masaaki Imai describing embracing Kaizen. 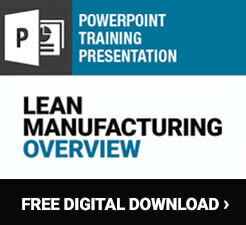 Thank you to GLOBALLEAN for the use of their video. Every workplace is unique and the strategies that help one facility improve may not work in another. Management's job is to support people while strategies are tested out and provide general guidance about where the organization is going. When standards change, management should make sure everyone is aware of the changes and verify that the changes are documented. Whenever management decides to implement a change, showing data to support it helps facilitate buy-in from others in the organization because people don't feel like management makes decisions on a whim. Employees can see that changes are made purposefully in order to further the goals of the organization. Kaizen might be performed on a daily basis and goes beyond improving productivity. Employees are encouraged to use scientific methods to improve their own tasks to make things more efficient. Kaizen can also refer to a specific Kaizen event, not daily Kaizen. Some businesses use daily Kaizen. Some business use Kaizen events. Other businesses use both Daily Kaizen and Kaizen Events. "What is a Kaizen Event?" A video describing Kaizen and the Kaizen Event. Thank you to Kira Greer for the use of her video. Kaizen events, sometimes referred to as "Rapid Improvement Events" or "Kaizen Blitzes," take place over a short period of time, usually a week or less. A Kaizen event is an action where the end result is to improve an existing process. A Kaizen event is a short-term effort to implement small, company wide improvements. A Kaizen event should include training, analysis, design, and reconfiguring. It is not unusual for a Kaizen event to last anywhere from a few days to a little over a week. An example of a Kaizen event would break all employees up into groups of 5 to 10 people. You call these small groups Kaizen teams. You then give all Kaizen teams the project of improving a part of some process within the company. Oxforddictionaries.com states that Blitz means a "sudden, energetic, and concerted effort, typically on a specific task." So a Kaizen Blitz is an energetic, concerted effort toward improving a specific task. The terms Kaizen Event and Kaizen Blitz can be used interchangeably. Kaizen events have specific goals that can be achieved in the short term. Good goals are realistic, measurable, important to the organization right now, and can involve many people during the event. Note that these goals refer to specific locations and have clear targets. Goals may also involve solving a specific problem that an organization is facing. Once a goal is established, a team is convened to approach solving the problem or improving the process. This team often includes people from many departments who can provide unique perspectives. Teams can have only a few people or as many as 10 people, depending on the situation. This team spends the allotted amount of time focusing on the situation at hand until the goal has been accomplished. Often, the PDCA cycle is used to test out possible solutions and improve upon current standards. When the team is tasked with solving a problem, they can sometimes use the "5 Whys," a technique for asking questions to get to the root cause of the problem. After the kaizen event has been completed, team members follow up with affected individuals and/or departments to make sure new standards are understood. The idea of a kaizen event may seem counterintuitive; kaizen means continuous improvement, so how does a rapid event fit into that framework? After all, it's not continuous. It takes place during a predetermined amount of time. Kaizen events can take place on a regular basis to reinforce the kaizen mindset. They can also be used in conjunction with something called daily kaizen, the kinds of small improvements that occur on a regular basis. Kaizen bursts, which are activities focused on improving specific locations or processes, can also combine these two methods. Daily kaizen is the type of kaizen mentioned earlier, the kind of kaizen everyone can participate in as a part of daily work. When someone sees an abnormality, he or she can decide whether that abnormality is the result of standards not being followed or the result of an inadequate standard. Then the person can think about ways for improving the current situation. These ideas can be simple and often they can be tested out pretty easily. Most kaizen ideas are low cost and low risk, so when an idea doesn't pan out, it's not the end of the world. Come up with an improvement idea or identify a problem. Discuss the situation with co-workers or a supervisor. Try out the idea, possibly using the PDCA cycle or scientific method. Make notes about whether the idea was successful; if it was, take steps to make it the new standard for work. Share the success with the team, department, and organization. Kaizen ideas can be about any part of work processes. They can involve machines, people, tools, cleanliness, organization, 5S practices, safety, the layout of the workspace, and more. Add floor markings to a warehouse aisle so boxes never encroach on the walkway. This simple visual cue can make the space easier to navigate. Relocate a tool so the person using it doesn't have to move as far to obtain it. This reduces excess motion. Label the locations of items on a workbench so it's easy to see where they should be stored when not in use. Everyone should be encouraged to come up with ideas, and businesses should be open to ideas, even if they may not seem like the best ideas. By participating in the continuous improvement process regularly, people will learn what kinds of ideas are most useful and best serve the goals of the organization. Over time, kaizen becomes a part of daily work, not something separate from it. People learn to think about fixing problems and making improvements as they perform work tasks. Suggest workers use their spare time. When they're waiting for a delivery, an equipment repair, or anything else that leads to downtime, that time can be used for kaizen. Budget kaizen time. Schedule a short period during each shift when people will think about continuous improvement. Eventually, a designated time for kaizen may not be necessary, as everyone will begin to find ideas emerge from work. Several tools exist for helping facilitate kaizen. These tools include both visual tools and management techniques. A kaizen newspaper is a document that lists current ideas, problems, solutions, and responsible parties. The newspaper is usually in spreadsheet or chart format and it is posted so everyone can see it. The document also indicates which phase of the PDCA cycle an idea is in. The goal of a kaizen newspaper is to help keep people on track and prevent ideas from falling through the cracks. Some workplaces create a larger visual board where kaizen ideas are posted. Alternatively, this board can highlight kaizen successes, sort of like a kaizen "wall of fame." Seeing these successes can do several beneficial things. It can motivate employees to find new ways to improve, it can make employees whose ideas were successful feel appreciated, and it can help everyone in the organization track progress over time. This tool can serve as a record of continuous improvement. A suggestion box is a traditional method for soliciting ideas from employees, and some workplaces that use kaizen employ suggestion boxes - either physical or electronic - for submitting ideas. These boxes can be useful, but it is important for a workplace to make sure someone is checking the box regularly and responding to ideas quickly. It's easy for suggestion boxes to get neglected, and when that happens employees may feel their ideas aren't taken seriously. All ideas should receive a response. A quality circle is an activity that engages employees in improvement efforts regularly. Quality circles are small groups that have been used frequently in Japan. These groups often contain employees who perform similar functions in the company and they meet regularly to solve problems and discuss quality, cost, delivery, and other important topics. These circles can help people learn how kaizen works and reinforce the importance of paying attention to improvement possibilities. Implementing kaizen takes work. People need to be educated about kaizen and the role it will play in the workplace. Events may need to take place to demonstrate how improvement processes such as the SDCA and PDCA cycles work. Quality circles or other tools may be instated and time may be scheduled for daily kaizen. Management, supervisors, and employees all need to know their roles and feel that their ideas are respected. At first, the improvements seen as a result of kaizen may seem small, but as time goes by, organizations using kaizen will likely see notable gains in the way processes work. Ultimately, this can lead to happier customers, which means a more successful business. Many other Lean methods fall under kaizen. Some of these methods may complement kaizen efforts. 5S is a systematic approach to workplace organization. 5s breaks the process of organizing, cleaning, and maintaining a space into five parts. A second tool that may be complimentary to Kaizen is just-in-time (JIT). Just-in-time is a method for "pulling" production with customer demand instead of pushing it with forecasting. JIT is governed by kanban, a system of signals that tell people when to start producing products. This is a tool that is utilized by the Toyota Motor Company in their Toyota Production System (TPS). "What is "Just in Time"? - Whiteboard Wednesday"
A video explaining what Just-In-Time (or JIT) is. Thank you to Fishbowl for the use of their video. Heijunka - In just-in-time needed parts are only provided when they are required. This is to keep inventory costs low. Heijunka is the eradication of disproportion in a workload or Mura. Heijunka also eradicates overstrained workloads that can develop into quality or safety issues. This is also known as Muri. Muri and Mura are both considered waste. Elimination of waste - Waste is also known as Muda. Muda can be described as all things that are not useful. These things do not add value. Takt time - The rate or speed of customer demand is Takt. Takt time describes the cycle of work that handles the demand of one customer. The cycle of work should be in sync with the demand of the customer so that there is not over or underproduction. The flow-rate of how much work can be completed is calculated by Takt time. When Takt time is used properly, it will remove inefficiency caused by time delays to overproduction. Kanban - For Kanban to work, it is vital that all the correct items are in the correct place at the correct period. The Toyota Production System (TPC) uses an item called the kanban card. The kanban card is a very visible item used to request parts only as they are needed. This keeps the assembly area uncluttered of parts that are not yet needed. When a worker sees that they are almost out of parts, they use the kanban card to request delivery of more parts.